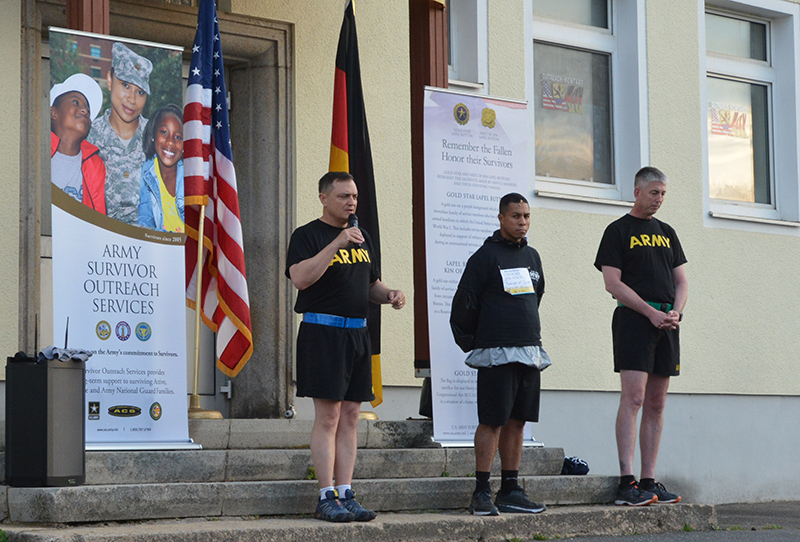 GRAFENWOEHR, Germany — During the week prior to Memorial Day, boxing phenom and former champion Hector Camacho Jr. visited U.S. Army Garrison Bavaria to honor troops and participate in the fourth annual Memorial Day “Run to Honor” hosted by 2nd Cavalry Regiment. Hector Camacho Jr., 39, a five-time champion, is back fighting in the boxing world. He was once the North American Super Lightweight champion and carried a 34-0 record with 17 knockouts in a 10-round Junior Welterweight bout. Camacho — who boasts a 58-7-1 record with 32 knockouts — was once labeled as overweight. The boxer known as showboat in the ring, however, is ready for change and is determined to regain his place in pro boxing. “The change was necessary for both personal and professional aspects of my life. Returning to the ring is not just for the love of the sport, but to fight for the Camacho legacy that will end in victory,” said Camacho. With a challenging future ahead, he has decided to train with the troops here in USAG Bavaria. More specifically, he wants to train with First Sgt. Jose Barron and Staff Sgt. Antony Defalco, two Hohenfels Soldiers assigned to Charlie Company, 1-4 Infantry Regiment. “I am ready, training and focused like never before for my fight against Chavez,” Camacho said, referring to Omar Chavez. Of course Hector Camacho Jr.’s father left us well before his time. Camacho Sr. held titles in seven weight classes from 1983 to 2001, beginning as a Super Featherweight and finishing his career in the Super Middleweight division. Camacho is focused on becoming a world champion, becoming more disciplined and poised. Camacho continues to train in the gym and maintains his fitness by working with the Army. On August 18, the boxing world will undoubtedly see Hector Camacho Jr. successfully re-emerge into the boxing scene and do his father proud in embarking on a title run.